The Flottweg Separator AC 1500. 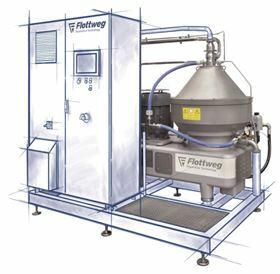 A manufacturer of decanters, separators, belt presses and systems for the mechanical separation of solids and liquids, Flottweg works with the customer to develop solutions on-site, tuned precisely to the process, saving time and money. (on request) remote diagnosis for safe monitoring of the customer's process. Flottweg will exhibit on Stand 107 in Hall 6 at BrauBeviale, the Trade Fair for Production and Marketing of Drinks, on 10-12 November in Nuremberg, Germany.